Snakes – Why No Legs? One of our members, Jonathan Tan, recently wrote an essay on why snakes have evolved to be legless. We’ve invited him to share it here to help our readers better understand their fascinating evolutionary history. Disclaimer: our understanding of the evolution of snakes is itself continuously evolving, so this essay may contain points of contention. What causes a new trait to evolve in an organism? When a character becomes fixed, it is usually because it provides a selective advantage that increases that organism’s fitness over competitors’. Many characters also affect fitness only within particular niches, not universally; evolving wings for instance, would probably be less useful in the water than on land. But tracing the original selective advantage of characters is not simple, as they can subsequently be adapted and repurposed for completely different uses such as how the wings of penguins are used as flippers. This is especially so for taxa with a wide variety of habitats and lifestyles, such as snakes. Today, snakes can be found in aquatic (both freshwater and marine), terrestrial, fossorial, and even arboreal environments. The defining character of snakes to most people is often their lack of legs. But having diversified extensively into so many different niches, the adaptive advantages, selection pressures, and environment that first resulted in their evolution of limblessness can be difficult to figure out. To do so, we must first identify the original conditions in which the very first snakes lived. What sort of habitat did the first snakes live in? There are two main hypotheses for the form of the last common ancestor of snakes: a terrestrial burrower, or a marine swimmer. Phylogenetic reconstruction using snake fossils as well as extant species can tell us which is likelier. A reconstruction found it certain that the ancestors of both crown group and total group snakes were terrestrial, but not necessarily fossorial. Analysis  of the inner ear vestibular shapes of modern snakes correlating them with habitat type led to the deduction that both Dinilysia patagonica, a Cretaceous era snake sister to all modern snakes, as well as a hypothetical ancestor of all modern snakes had burrowing lifestyles (Figure 1). Furthermore, most basal snake clades are burrowers, as can also be seen from Figure 1. Evidence for the fossorial origins of snakes can also be found in the morphology of other limbless squamates. There are two main ecomorphs: the short-tailed (tail at most half body length) and long-tailed (tail about 1.5 times body length). Short-tailed limbless squamates such as amphisbaenians and legless skinks are all burrowers; long-tailed ones such as legless anguids all live on the ground surface. Snakes fall morphologically into the former group, making it highly likely that the ancestral snake was also a burrower, and that its non-fossorial descendants retained this body plan when they recolonised surface niches. Other parts of snake anatomy also suggest their fossorial origins. Snakes have unique eye structures and optic nerves that are the result of the restructuring of original squamate eyes. This secondary re-evolution of visual acuity would be expected if snakes descended from a fossorial ancestor, as most limbless tetrapods have poor vision with reduced eyes due to their subterranean lifestyles. The loss of external ear openings and inability to hear sounds above 1500 Hz in snakes also correlates with the poor hearing of other fossorial limbless squamates compared to surface dwelling forms. Both phylogenetic evidence and morphological comparisons with other limbless squamates thus suggest snakes first evolved in a fossorial habitat. Figure 1 Phylogeny of snakes (nested within squamates) showing habitat type and corresponding vestibule shapes. E indicates the hypothetical common ancestor of crown group snakes (70.1% probability burrowing type), F indicates D. patagonica (93.4% probability burrowing type). The more basal snake clades, represented by R. caecus and T. jamaicensis, and A. scytale, are burrowers. Why did snakes evolve to live in fossorial habitats? What might have made fossorial habitats such promising environments that snakes evolved to occupy it? Firstly, they provide excellent concealment and protection from predators that lack similar burrowing abilities. A surface predator would be unable to spot snakes concealed in the soil or leaf litter, and if it were to dig for them, a snake could still escape by quickly burrowing away or going deeper. Even today, save for non-fossorial snakes, almost all limbless tetrapods such as amphisbaenids or caecilians burrow in soil or take shelter in crevices for safety. Fossorial habitats also contain a wide variety of small prey items (e.g. rodents and invertebrates) which seek refuge in leaf litter and subterranean environments, making it attractive for small carnivores such as snakes. Although many snakes of today take on prey larger than their own heads due to their highly kinetic skulls, ancestral state reconstruction suggests the first snakes targeted smaller prey. Fossorial snakes of today continue to specialise in eating small animals such as rodents, other snakes, or in the extreme case of scolecophidians, ant/termite larvae. Finally, the opportunity to exploit a new niche in the face of competition from other squamates may also have driven snakes underground. Competition with closely related taxa often drives evolution of novel characters to occupy new niches, and sometimes in distinct, determinative patterns. For instance, the very same combination of different ecomorphs evolved in anoles independently on four separate Caribbean islands. Similarly, where there is an empty fossorial niche, a limbless squamate is likely to evolve, an event that has happened at least 20 times; even small isolated patches of new fossorial habitat can give rise to novel limblessness evolution, such as the Calyptommatus lizards endemic to the Sao Francisco sand dunes. The presence of so attractive an unfilled niche meant that snakes adapted to fill it; and in the process they became limbless. How does limblessness help in fossorial habitats? So how did limblessness benefit snakes when they were adapting to fossorial habitats? Primarily, this had to do with ease of movement. Serpentine body plans, characterised by elongated bodies and limblessness, are very effective for movement through dense herbaceous foliage and loose soil. Fossil evidence shows that snakes became elongated before losing their legs. Elongation – reduction of body diameter to length ratio – allowed them to access a larger proportion of crevices while expending less energy trying to squeeze through. When they then lost their limbs, snakes further reduced their effective body diameter, improving their ability to hunt for prey in narrow tunnels and small cracks, as well as flee from predators into the soil/leaf litter or find shelter amongst rocks. Elongation also preadapted them to evolving reduced limbs, as it provided the additional vertebrae necessary for lateral undulation to replace walking and the need for functional limbs. Lateral undulation may be more energy efficient than quadrupedal movement because there is no need to lift the body against gravity; retaining extraneous legs that affected the body’s streamlining would also have reduced the efficiency of this new form of movement. Lateral undulation being common in limbless tetrapod lineages (Table 1) which are almost all fossorial, it likely had strong functional advantage in fossorial habitats where there is little space for limbs to work. With legs having lost their main function to be replaced by lateral undulation, even becoming a hindrance in tight spaces and when slithering through substrate, limblessness would have helped snakes better occupy their fossorial niche. Limblessness evolved as an outcome of the adoption of a previously unfilled fossorial niche by early snakes, giving them an even greater adaptive advantage in foraging and avoiding predators in an environment where already food was abundant and predators few. But while this accounts for the initial evolution of limblessness, it does not answer why many modern snakes continue to be limbless even as they diversified into new habitats, as they clearly retain the ability to re-evolve legs (e.g. Tethyan snakes from the Cretaceous ). Instead, snakes seem to have evolved a variety of means to overcome the limitations of being limbless in non-fossorial habitats, such as rectilinear motion to climb trees, or sidewinding in deserts. Perhaps there are secondary benefits to limblessness in these new niches, such as camouflage or stealth; or legs on such an elongated body may just be ineffective as a mode of locomotion. While we can understand under what conditions they lost their legs, why losing them was beneficial at the time, and even the process of losing them relative to other traits, we still do not fully understand why they continue to lack them. For now at least, snakes will continue to remain just a little bit of a mystery. – Yi, H. & Norell, M. A. (2015) The burrowing origin of modern snakes. Science Advances. 1 (10), 19 March 2017. Available from: http://advances.sciencemag.org/content/1/10/e1500743 [Accessed 19 March 2017]. – Hsiang, A. Y., Field, D. J., Webster, T. H., Behlke, A. D. B., Davis, M. B., Racicot, R. A. & Gauthier, J. A. (2015) The origin of snakes: revealing the ecology, behaviour, and evolutionary history of early snakes using genomics, phenomics, and the fossil record. BMC Evolutionary Biology. 15 (87), 19 March 2017. Available from: http://bmcevolbiol.biomedcentral.com/articles/10.1186/s12862-015-0358-5 [Accessed 19 March 2017]. – Zug, G. R., Vitt, L. J. & Caldwell, J. P. (2001) Herpetology: an introductory biology of amphibians and reptiles. 2nd edition. San Diego, CA, Academic Press. – Wiens, J. J. & Brandley, M. C. (2009) The evolution of limblessness. In: Hutchins, M. (ed. ).Grzimek’s Animal Life Encyclopedia. Internet edition. Farmington Hills, Michigan, Gale Cengage. – Walls, G. L. (1942) The vertebrate eye and its adaptive radiation. Bloomfield Hills, Michigan, The Cranbrook Institute of Science. – Northcutt, R. G. & Butler, A. B. (1974) Retinal projections in the northern water snake Natrix sipedon sipedon (L.). Journal of Morphology. 142 (2), 117-135. – Gans, C. (1975) Tetrapod limblessness: evolution and functional corollaries. American Zoologist. 15 (2), 455-467. – Wever, E. G. (1967) Tonal differentiation in the lizard ear. The Laryngoscope. 77 (11), 1962-1973. – Parker, H. W. & Grandison, A. G. C. (1977) Snakes – a natural history. 2nd edition. Ithaca, New York, Cornell University Press. – Parpinelli, L. & Marques, O. A. V. (2015) Reproductive biology and food habits of the blindsnake Liotyphlops beui (Scolecophodia, Anomalepididae). 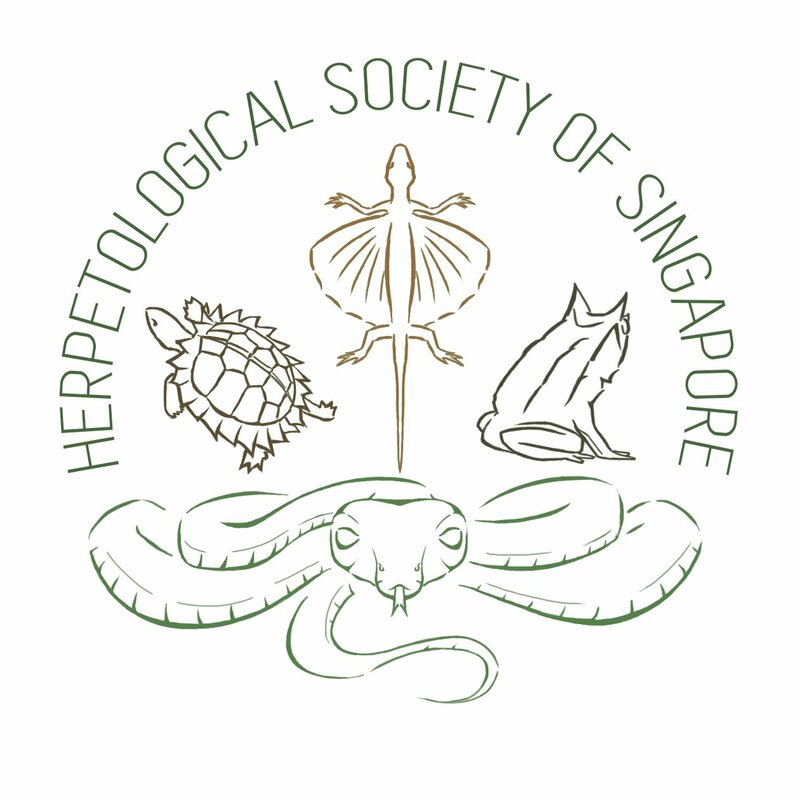 South American Journal of Herpetology. 10 (3), 205-210. – Schulter, D. (2000) The Ecology of Adaptive Radiation. Oxford, United Kingdom, Oxford University Press. – Losos, J. B., Jackman, T. R., Larson, A., de Queiroz, K. & Rodriguez-Schettino, L. (1998) Contingency and determinism in replicated adaptive radiations of island lizards. Science. 279 (5359), 2115-2118. – Wiens, J. J., Brandley, M. C. & Reeder, T. W. (2006) Why does a trait evolve multiple times within a clade? Repeated evolution of snakelike body form in squamate reptiles. Evolution. 60 (1), 123-141. – Martill, D. M., Tischlinger, H. & Longrich, N. R. (2015) A four-legged snake from the Early Cretaceous of Gondwana. Science. 349 (6246), 416-419. – Chodrow, R. E. & Taylor, C. R. (1973) Energetic cost of limbless locomotion in snakes. Federation of American Societies for Experimental Biology. 32, 422. – Leal, F. & Cohn, M. J. (2016) Loss and re-emergence of legs in snakes by modular evolution of Sonic hedgehog and HOXD enhancers. Current Biology. 26 (21), 2966-2973.